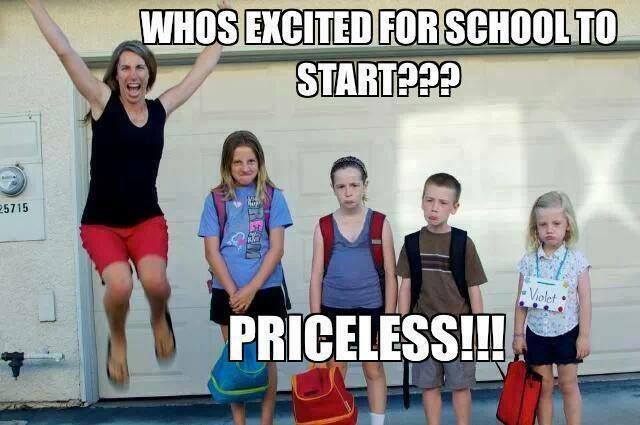 The first day of school for Bastrop Independent School District (BISD) is on Monday, August 26th. As a parent of two school-aged kiddos and one preschooler, I couldn't be happier. I'm like a kid on Christmas morning, anxiously waiting to open my presents, quivering with anticipation. Summer vacation is almost over, and it's time for Back to School!!! To celebrate Back to School, BISD is holding a Back to School Bash on Saturday, Aug. 24th from 9-11am at BISD Memorial Stadium, located at 755 Hwy 21 in Cedar Creek. There will be FREE activities, food, giveaways, student performances, and more! Plus, the first 1,000 attendees will receive FREE t-shirts!!! Also, beginning at 8:30am, school supplies from the Stuff the Bus campaign will be distributed to pre-k through 6th graders on a first-come, first-serve basis, so get there early! Although Sept. 9th and 25th are AFTER school has already started, this is NOT a misprint. Those are the correct dates for meet the teacher nights for BISD middle schools and high schools. For more information about back to school, visit www.bisd.org.